This program funds Teachers & Author Visits. Welcome to the 2016-2017 school year! 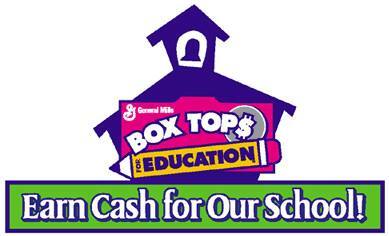 Box Tops for Education is a simple program that earns $$$ for our school. We plan on taking every advantage of the cash that Box Tops brings in at The Honors Academy of Literature. EVERYTHING that we earn as a school will go DIRECTLY into our classrooms. There is a collection bin in front of the library to simply drop them into. Scholars can submit them at any time labeled with their name in a bag or individually. They all earn! NOW for the fun part....Prizes! In October for a free pizza lunch! In March for free dress coupons! In June for gift cards to use over the summer! Thank you for helping us to take advantage of this great program to raise funds for our teachers! If you have any questions at all please feel free to contact the coordinators, Elsa Santiago or Laura Wills. $10.00 x 200 students = $2000.00! And that's just for clipping off of items you already buy! After each of the drawings, we will sort through and submit all the Box Tops/Labels to our school account and start over so that every scholar has a fresh chance to collect and win. Feel free to have your scholars ask grandparents, aunts, uncles, cousins, friends, etc. to collect for you. Just be sure they write the scholar's name on the back. It's a simple way they can contribute to the Academy. We have fliers available if you need them. If your family has more than one scholar at the Academy, we will leave it to you to decide whose name to write on the back of each Box Top/Label. Please only write ONE name on each. Thank you for helping us to take advantage of these great programs to raise funds and supplies for our teachers! If you have any questions at all please feel free to contact the coordinators, Elsa Santiago or Laura Wills. Please direct any questions/comments regarding the Champions budget to champions@academyoflit.org.